Weingut Wittmann, Westhofen is a member of Wein‑Plus and thus supports this wine guide. Thank you! By creating Weingut Wittmann saved filter, you will see relevant matches on your home screen. The estate is located in the community Westhofen (Wonnegau area) in the German wine-growing region Rheinhessen, Viticulture has been known in the family since 1663. 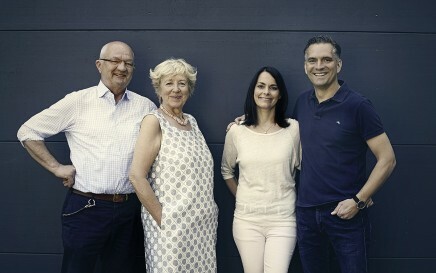 Philipp Wittmann and his wife Eva, together with Philipp's parents, Günter and Elisabeth Wittmann, share the management of the estate. The vineyards cover 28 hectares of vineyards in the Westhofener Lagen Aulerde. houses for wells. parish and Morstein, They are planted around half of the Riesling, as well as Silvaner, Pinot Blanc, Pinot Gris and Chardonnay. Quality criteria are low yields and selective hand-picking. The vineyards have been down since 1990 ecological Aspects and from the year 2004 consistently according to the guidelines of Biodynamic viticulture farmed. These include, for example, uncompromising renunciation of herbicides, chemical-synthetic fungicides. insecticides and easily soluble mineral fertilizer. The Organic wines be in accordance with EU Organic Regulation produced. In the large vaulted cellar, the carefully pressed must ferment spontaneous with its natural yeasts in a wooden barrel. Due to the slow fermentation, the flavorings remain. The wines are aged in traditional large wooden barrels and partly in steel tanks, the best red wines in barriques. All dry wines are made according to the VDP classification designated. Only the best Riesling wines of a vintage bear the names of the above-mentioned locations. The fruit-enriched estate wines usually come from several vineyards of the estate. The distinctive by high fruit maturity local wines are produced by selective harvest in the best vineyards. The first-layer wines include long storable Riesling wines with a very individual character.